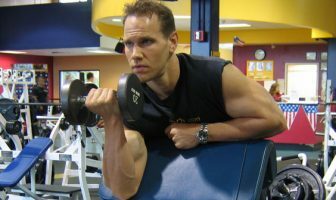 You are at:Home»Questions & Answers»Should I Eat a Post-Workout Meal at Night? My typical workout schedule consists of training later at night around 10pm. I’m forced to train at this time due to my work schedule that forces me to work very long hours. I usually get up around 4am and work from 6am-8pm. I have a long drive to and from work, so when I finally get back home I head directly to the gym for my workout. My question is about nutrition and how my post-workout meal might be negatively affecting my gains in building muscle mass. My usual post-workout meal is 1 cup of oatmeal, 1 banana and 8 ounces of chicken breast. Is this good for building muscle or should I change it to something else like a post-workout shake? This is a very interesting question and you have a few options for post-workout nutrition when you train later at night. First off, one of the most important factors for answering your question is knowing your current body type, whether you are an ectomorph or an endomorph. Body types, also called somatotypes, are basically the structure or build of a person. A skinnier person who is very lean and has a hard time packing on muscle mass is considered an ectomorph. A person who holds a considerable amount of body fat and has a hard time losing weight is considered an endomorph. The third somatotype is called a mesomorph and this is the person who has an easy time building muscle and is also lean, which is the most ideal body type most people want to have. 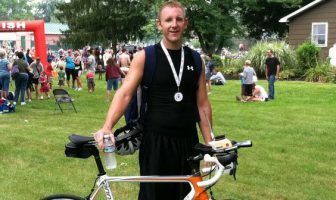 The reason why your body type is important when designing your post-workout nutrition plan is because if you are a person who is holding extra body fat then you want to avoid high glycemic, insulin spiking foods or supplements later at night when your natural levels of insulin are less sensitive. What this means is that when you eat foods later at night, the hormone in your body called insulin, which regulates blood sugar, has a much harder time doing its job versus during earlier times during the day. If insulin does not do its job to decrease blood sugar levels, then you will have much harder time burning body fat. If you fall into the endomorph body type (have more body fat) then your late night post-workout nutrition should consist of more protein and lower insulin spiking starchy carbs. If you like to drink a shake post-workout, then have 1-2 scoops of whey protein in water after your workouts to get an adequate amount of protein to your muscles and to ensure you have a positive nitrogen balance before going to bed. If you don’t like shakes and want to eat real food, then an egg white veggie omelet works great after your workout. Remember that this is the post-workout nutritional protocol for a person with an endomorph body type who tends to be a little overweight and who has a hard time losing body fat. However, if you have a skinnier body type (ectomorph) and have a hard time gaining weight, then your post-workout will be much different. You mentioned that you currently eat oatmeal, chicken breast and a banana for your post-workout meal. The reason why this is not ideal is because of the slow process of digestion. When you eat whole foods, it takes your body time to fully digest and utilize the nutrients you eat. Carbs are very important for the ectomorph since you want to spike insulin post-workout in order to get all of the protein and other nutrients to your muscles quickly to help them recover and grow. The type of carbohydrates you eat is critical and you want to focus on eating high glycemic foods at this time. Oatmeal is considered a slow acting carbohydrate and it’s a food that is more beneficial for eating pre-workout before you train versus post-workout since it will give you a slow release of energy to fuel your workouts. Your best option for post-workout nutrition is to have a shake with fast acting protein, high glycemic carbs and zero fat. 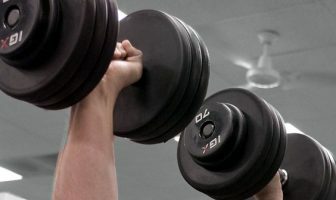 Great carb sources post-workout consist of waxy maize starch and dextrose which can both be found in many of the popular post-workout nutritional supplements on the market. 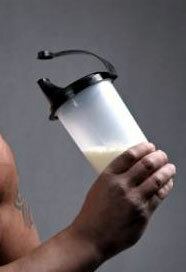 For protein, stick with a fast acting source like whey protein to get the nutrients to your muscles quickly. Your carbs should be in the range of 60-80 grams and your protein should be around 20-30 grams for the ideal ratio of nutrients to consume after your workouts to rebuild your muscles. How Can I Add Muscle Mass and Overall Size To My Arms? 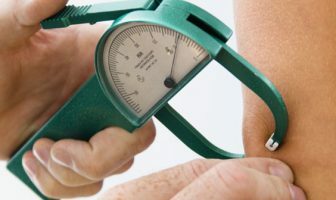 As this article states, after your weight training workout you want a fast acting carbohydrate in the form of anything as close to sugar as possible. This spikes insulin levels and allows your body to deliver nutrients faster to your body. Especially if you have a protein shake or chicken, this process after a workout is great for muscle growth. Carbs like oatmeal serves well as a pre-workout food since it digests slowly. If you can’t eat carbs like this before your workout then make sure to substitute a protein for it since the extra calories will still be beneficial for building muscle. When during the day is the best time to eat fruit? Can fruit be eaten at night and can it be eaten after a workout at night? For fast weight loss, should I mainly be eating healthy fats, vegetables and protein? Hi Barbara – Since fruit has simple sugars that fill up your liver glycogen stores (not muscle glycogen) and can be higher on the glycemic index (GI) which can cause a big spike on insulin (depending on the type of fruit), it’s best to limit it if your main goal is fat loss. If you love fruit and want to include it in your diet then stick to eating it in the morning and cut back later in the day. If you workout with weights at night, you can have some fruit after your workout along with protein which will be beneficial since you want to spike insulin to get the nutrients to your hard working muscles quickly after a hard workout. A shake blended with whey protein powder and fruit works great at this time! I usually workout at 11pm. Do I have to eat after the workout? The thing is that I go directly to bed after I train and I am not hungry at all, as I eat well during the day. My goal is to lose a bit of fat and build some muscle. According to your article. I’m an endomorph. Thanks! Hi Aly – Yes, you definitely want to consume something after your weight training workout at night. Try a whey protein shake with some fruit and oatmeal. Blend it all up and drink it before going to bed to ensure your muscles will get the nutrients they need to repair and grow from your workout. My body is skinny. I have belly fat and face fat. What should I avoid to eat at night time? I workout after 8pm. Hi Raj – You should try working out in the morning, if possible. If not, try to get a quality protein and carbohydrate in after your workout. Post-workout is a key time when you need to supply your muscles with the nutrients they need to recover and grow. Try 25-30 grams of whey protein with 1 cup of oatmeal within 30 minutes after your workout. Avoid all other carbs later at night to avoid packing on body fat. I am an endomorph and I think that after reading your article I have a pretty good idea of what I should be eating, so thank you for that. However, I just wanted to double check and get your thoughts. I currently train in Jiu Jitsu from 7-9pm and I am usually not home until 9:30pm. I try to get to bed as soon as possible so I can get up and do a workout in the morning before going to work. Based on your article, it seems I should be eating a well-balanced breakfast after my morning workout, but after my p.m. workout I would probably be fine to just drink a protein shake on my drive home, then I could shower and still be in bed by 10pm, which would allow me roughly 7.5 to 8 hours of sleep. I also include a small pre-workout meal prior to Jiu Jitsu. I should add that I am currently trying to cut 15-20 pounds in order to make it into a specific weight category for Jiu Jitsu. Hi Morgan – It looks like you are on the right path with your current training and diet. A small pre-workout meal before Jiu Jitsu is great and then a protein shake after is perfect. Jiu Jitsu is more cardiovascular than strength training so getting in some quality protein after your workout will be a huge benefit to you. It’s also great for cutting weight since you are not taking in carbs after your Jiu Jitsu post-workout so your insulin levels will not be affected and this will help greatly with fat loss. If you are doing a weight training workout in the morning then this is when a protein and carbohydrate meal or shake should be consumed (post-workout) to refill glycogen levels. Hello ShapeFit! I’m an ectomorph and recently joined a gym for weight training in order to gain some muscle mass. I workout from 7-9pm and usually have a simple post-workout protein shake as soon as I get home (within half an hour of my workout). Then, after an hour I eat my dinner which includes 4 chapatis (wheat breads), a glass of milk (with four spoons of sugar) and cooked whole grain pulses. In the morning I eat a 3-egg omelet, yogurt and chapatis again. For lunch, I eat some salad and sprouts and also have a shake with 2 bananas, 1 cup of oats, a mango and a scoop of protein powder. Finally, 2-3 hours before my workout, I don’t eat anything. I just wanted to ask if my diet is sufficient for building muscle and if I’m eating a good post-workout meal? Hi Himanshu – We recommend changing your post-workout shake to include 40-50 grams of protein powder, 1-2 cups of milk, 1 cup of oats and some fruit (banana, berries, etc). The period right after your workout is the key window of time to flood your body with nutrients in order to allow your muscles to soak everything up and help them recover and grow. It’s important to load up this post-workout shake with critical protein and carbs which are easily and quickly digestible. In regards to your overall diet being optimal, it comes down to your stats (age, height, weight) to determine your overall macros (macronutrients which include protein, carbs, fat) along with your overall calories. Try using our fitness calculators on ShapeFit.com to find these details and then follow them to reach your physique goals. Hello Shapefit! I am somewhere in the middle of an endomorph and a mesomorph because although I’ve gained a good amount of muscle over the years, I don’t consider myself lean. At least not at the moment simply because I’m currently transitioning from a bulking season to a cutting season. So, right now I have a nice layer of fat around my body. Just so you can have a better understanding of my body type, I’m 5’11 and around 200 pounds. I do heavy weight lifting 4-5 times a week and I’m going to be implementing cardio 3 times a week throughout the next few weeks. I work 9am-5pm but by the time I make it home its around 6:30pm. Once I eat and relax for a bit, I don’t usually find myself at the gym until 9pm to 9:30pm. I workout for about 2 hours and by the time I make it back home its almost midnight. My schedule has been like this for just over a month and I’ve been wondering about a good post-workout meal or snack before bed. I know I shouldn’t, but I find myself skipping breakfast most of the time. For the most part, I eat healthy lunches and dinners. The problem I have is that most of the answers you guys have given on this thread have been protein shakes. I’m just curious if there is an alternative. I’ve worked out for 3 years plus and I’ve completely transformed my body into what I would consider a pretty muscular and fit body and I’ve done all this without having to use any supplements. My post-workout alternative is chocolate milk. I have considered drinking chocolate milk after my workouts now but I fear that there is too much sugar and fat in it and it would do more harm than good. I’m not completely against protein supplements, I’ve just gone so far without them, so I would like to stay away from them. 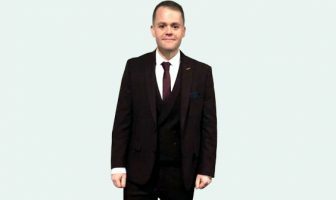 If you could recommend an alternative, that would be much appreciated. Hi Nathan – A great whole food post-workout meal after you are finished training would be 1-2 cups of cottage cheese with some fruit. Cut up some strawberries and bananas and add them on top of your cottage cheese and mix everything together. If you like cinnamon, try adding a few sprinkles to it also. The cottage cheese is great later at night since it contains casein which is a slow acting protein source which is perfect for later at night before going to bed. The fruit will provide you with some clean carbs for your post-workout meal. Give that a shot and see how it goes. Good luck! 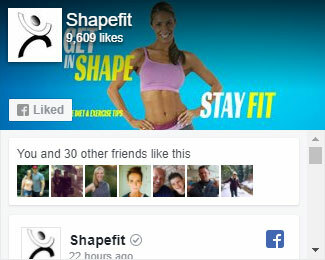 Hi ShapeFit – Great info! In my case (69kg, 166cm, 30 years old) I’m doing hard personal training workouts from 7pm to 9pm. Currently, my diet is as follows: Breakfast is 1 coffee, 5 eggs (1 yolk only), 1 banana, 1 bowl of oats with milk. Lunch is 3-4 chapatis, chicken and salad. Around 3pm, I eat some almonds with black coffee. I have zero pre-workout meal and my post-workout meal is a protein shake with watermelon juice and veggies (1 cup). Am I on the right path to build lean muscle? Hi – The first thing you need to do is find out how many calories you need to eat each day by using our Calories Per Day Calculator. Once you have a baseline number, you can add 500 calories per day in order gain weight (muscle mass). It’s very important to track your overall calories and other macros (protein, fat, carbs) each day to monitor your food intake to make sure you’re eating enough. Download a free diet tracking app like “MyFitnessPal” for this purpose. Your diet plays a major role in the amount of lean muscle mass you can add to your physique so always put a high priority on the foods you’re eating and the overall amount since you need to eat big in order to get big. Before hitting the gym for a cardio session in the morning, I put lemon, ginger and honey in water. After drinking this I do 45 minutes of cardio and then 30 minutes of abdominal work. After the morning session, I have my protein (4-5 boiled eggs excluding the yolks) and a light breakfast. In the evening, I’ve started doing weight lifting exercises after which I have oats and a light dinner after an hour or so. For building muscle, is it required to eat protein shortly after your weight lifting workout? What if they’re eating in the morning only? Hi Ankita – Your goal should be to consume lean protein with each meal throughout the day. If you eat 5 times a day, a protein source should be added to each one of these meals. 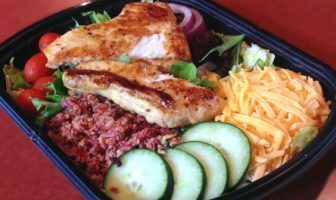 For your post-workout meal, it’s always important to include both a carbohydrate and a protein source to your meal or shake. A protein shake works great for quick absorption and convenience after your workout. Shoot for at 20-30 grams of protein with 40-50 grams of carbs. A whey protein powder with oatmeal and fruit works great for a shake. Blend it all up and drink it within 30-45 minutes after your workout.